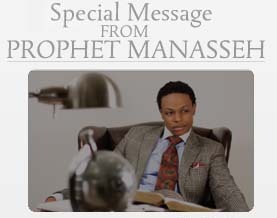 See Prophet Manasseh's broadcast messages of encouragement, he prays and chats with others and shares behind-the-scenes footage and personal messages from his heart to yours. Join Prophet Manasseh on Facebook! 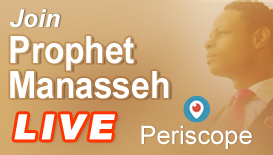 As you watch Prophet Manasseh LIVE, chat with him directly or join in the prayer and worship during live events in real time.